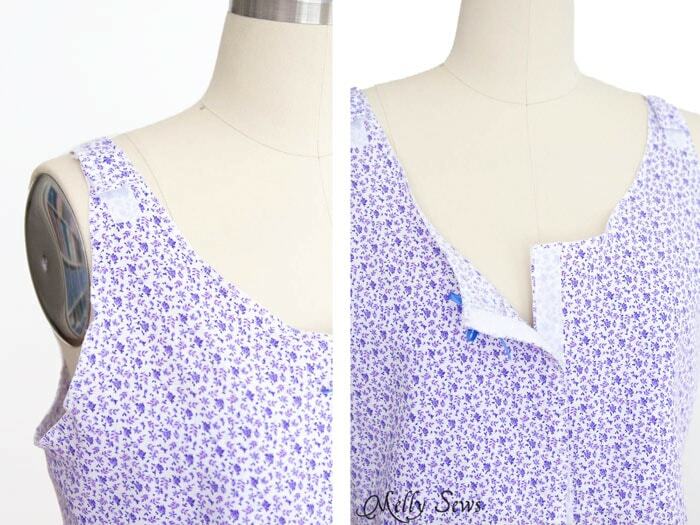 Hey y’all – today I’m sharing a project that is near and dear to my heart – a sewing pattern for a mastectomy camisole. 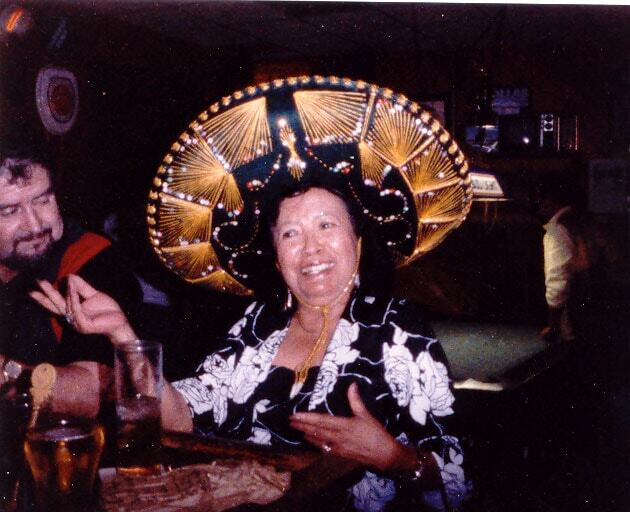 You see, this lady was my grandmother. And she died after a long fight with breast cancer before I was even in high school. I’ve always done what I could to help support breast cancer research and breast cancer patients, usually donating money. But last year when both my boys were finally in school all day, I also started volunteering my time with a local group, the Breast Cancer Resource Center (BCRC). And through them I met another group, Crafting Comfort. Crafting Comfort is a 501(c)(3) nonprofit that gets together to do charitable sewing. And some of the things they make are these post surgery camisoles, which help patients with two post mastectomy difficulties – they can’t easily lift their arms to get dressed (you try putting your clothes on without lifting your arms – it’s pretty darn hard) and they usually have surgical drains that they have to carry with them for up to 2 weeks. So Crafting Comfort makes and donates these camisoles, and the BCRC distributes them to patients. With velcro closures at the shoulders and front, and interior pockets for surgical drains, these camisoles help post surgical patients through their recovery. And the best part of all of this – you can help too, whether you’re local, just want to sew one for a friend or family member facing breast cancer, or even if you don’t sew at all. I’ve created a pattern for digital download from the master patterns used by Crafting Comfort. The pattern is available below, and it is a name your price purchase. So if you really can’t afford the pattern but need the camisole or are making one for someone who does, you can get the pattern for free. But if you choose to pay for the pattern – even if you don’t want to sew it – 100% of the proceeds from this go to Crafting Comfort to allow them to make and donate more of these and the other sewn donations they create (which include chemo pillows, medical dolls for children’s hospitals, and clothing and bags for women and children in a local domestic crisis center). To get the pattern, add it to your cart using the button below. Payment will be processed through Crafting Comfort’s Paypal and your pattern link will be emailed to your email address. The suggested price is $5, because that amount covers the cost of materials for one donated camisole. However, you can edit your price and pay more or less than that amount as you are able. 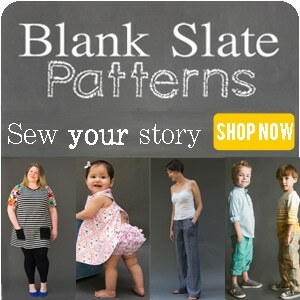 Please note: only 100 free patterns can be processed per day. Even $1 helps, so if you can purchase the pattern for any amount of money, please do so that others who cannot afford to can still access the file. If you are trying to get the pattern for free and cannot check out, you can try back another day as there is nothing we can do to override the 100/day limit. The pattern includes sewing directions, but just to make sure that every learning style is covered, I also made a video of the sewing process. 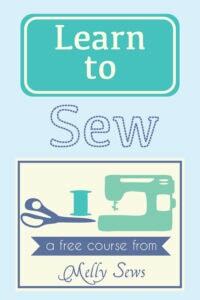 This is also a great project for charity sewing groups – perhaps there’s a need for these in your local area. If so, please use this with your group! You can also contact Crafting Comfort here, or find them on Facebook here if you’d like further information or if you’re in the Austin area and would like to volunteer. Thank you so much for making this an optional free pattern. My Mother-In-Law had a double mastectomy and it is wonderful that I can sew some of these for her and other people I know who have had breast cancer surgery. In Nov 2016, I had a double mastectomy. I’m cancer-free now! The drains were the bane of my existence for the week I had them. I made a belt out of flannel that hooked with velcro just below my navel. I had two pockets on it for the drains. It gave me the freedom to wear whatever I wanted (I wore a lot of button/zip up tops) without having to pin the drains to the surgical bra or something else. I am now committed to making one for friends if they are ever faced with this surgery. Wow,wow,wow. Such a great project. Ive never downloaded a pattern or made a camisole, but here I go! I have a clothes-hog, 56 year old friend (mother of 6) awaiting a double lung transplant. She’ll be needing this camisole. Thank you! DONATION A MUST. Again, thanks for this wonderful contribution. I Think TThese Are Awesome. Thanks for posting the pattern! When I found out I had breast cancer in February 2016, I made myself some simple short-sleeved, v-neck blouses with interior pockets for drains and velcro down the front. The blouses served me well after surgery, as well as during the last six months of chemo. The velcro makes it easy (and modest) to access the port implanted in my upper chest during chemo, and the short sleeves makes it convenient for other injections. But I had to adapt my blouse pattern without any guidance on how big to make the drain pockets, etc. Having a pattern like this would have been a blessing when I made my blouses. I start radiation therapy in a few weeks, and this camisole may be just what I need for this next step in my treatment. Hurray for Crafting Comfort and for all those who sew to help the many breast cancer patients who never learned this valuable skill. I’m having a mastectomy in January I never even thought about what I would be wearing thank you so much for this pattern I will have time to make some before my surgery. And thank you for it being free as we are struggling it is very overwhelming. wow I hardly know what to write. this is such a awesome thing you are doing. as the daughter of a mother who had breast cancer and am once more awaiting the results of followup ultrasound for suspicious findings on a mammogram, I am comparing this with what was available for mom. I will be cking into this program to see what I can do to help. thank you for bringing this program to our attention. Thank you for this great pattern! I wish I found it when I had my double mastectomy in May, but I think I will look into making some for charity! I just had my implants put in last week so currently have drains right now! But, not up to sewing. It’s all good! Thank you again for this! Thank you so much. In 2011 I went through a double mastectomy and I clearly remember that dressing and taking care of the drains for three weeks was a big hassle. I am blessed and my husband took exceptional care of me. Thank you, Eric! I love you! 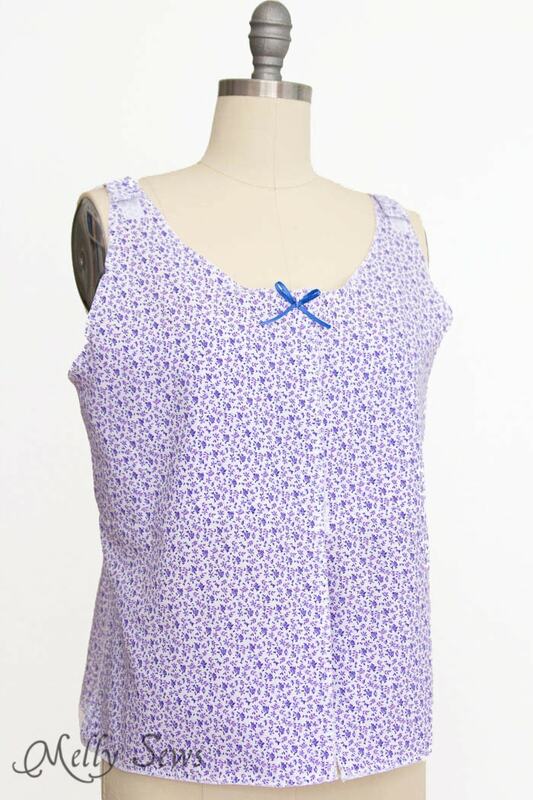 ** This camisole is just perfect– and we can make it in any color! I hope many, many folks are eased with the comfort of this top. Thank you tons and tons!!!! Hi, I am the Patient Advocate for Austin Cancer Center in Austin, Texas. We have just partnered with Crafting Comfort to be able to give our breast surgery patients one of their camisoles. Ann Randall is such a force! She is such a good supporter, of not only breast cancer patients, but women in general. I am a 12 yr. breast cancer survivor and will be having my implants replaced shortly. I am so happy I have a camisole to wear after my surgery, so that I don’t have to pin my drain tubes to my underwear like I did 12 yrs. ago! First time to bathroom, well I saw that wouldn’t work! 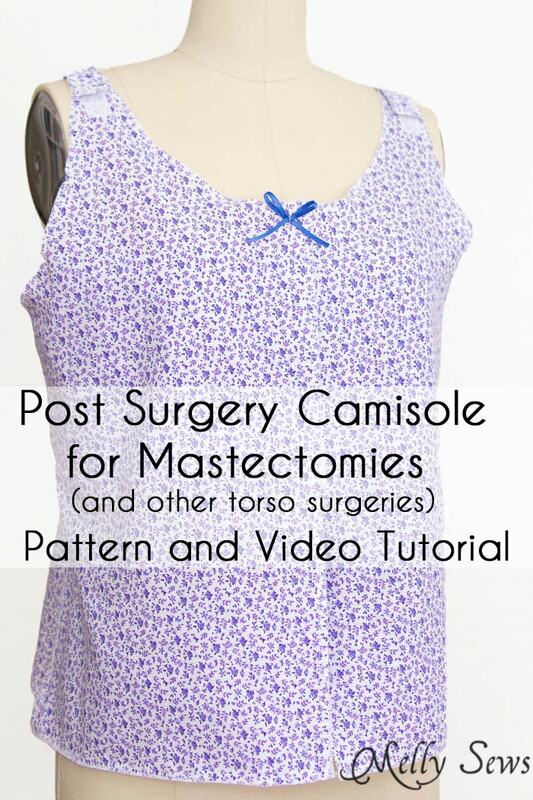 Thank you for putting this pattern on your blog so that women all around the world can have a camisole after surgery. Olivia, I just read your reply and I was curious what a breast cancer advocate does to hep patients. I am also a patient of Austin Cancer Center as well, and have been cancer free for 1year. I love this top, although my surgeon offered a top that was donated to her office by a local highschool. It isn’t only mastectomy patients that need a few of these. I had a lumpectomy – quite a large tumor – and a whole lot of lymph nodes removed which requires a second incision in the arm pit. I had a drain for two weeks and had to safety pin it to a cord I tied around my waist. 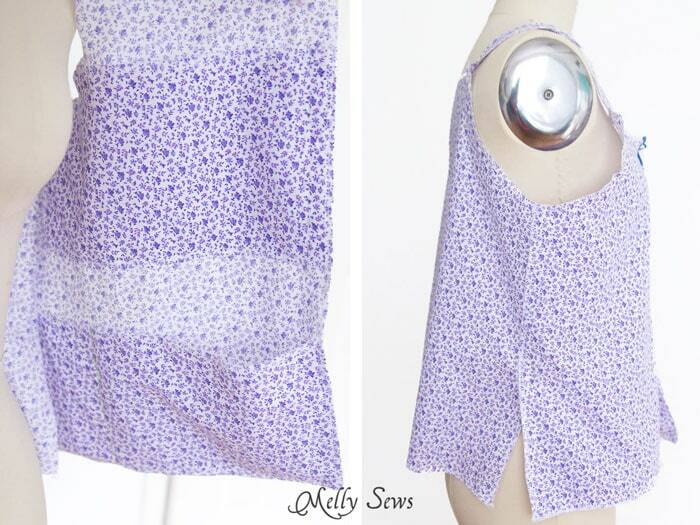 I could easily have made this camisole or something similar with pockets for myself, but didn’t expect to have either the drain or the lymphadenectomy. When they do that, they cut muscles that make your arm weak and it, and part of your back, become forever numb, so dressing still remains difficult with some things. I gave up wearing a bra and found the only thing comfortable to be cheap Fruit of the Loom 100% cotton sports bras! There are new sensations, and new discomforts that are lasting when major nerves are severed. I don’t like the Velcro closures, though. I had a radiation shirt that was sent to me with Velcro in the front and on the shoulders. The closures are very thick and un-natural looking, and irritating to the skin underneath, even when covered with cloth. Snaps or buttons (i know – buttonholes!) are easy enough to handle and the front lays nicely. Exercises are a part of recovery, and buttoning buttons is a good thing, not a bad one! It would be nice to have some shirts that men can wear. It’s unusual, yes, but men do get breast cancer, too. And jackets. I spit sweatshirts down the front, added a band on each side after cutting a V neck, and snaps, and large, deep pockets. I could wear it during chemo that way. Those rooms are often cold, or you get chills from the meds. I live in the south, and we wear T-shirts, not blouses. So I split some of those, too, and closed them with bands and snaps for chemo days. They’re cute, and comfortable, and carefree. No one wants to iron blouses going through all that! All my fellow chemo baldies loved my shirts, and I made hats from matching fabric! TALK to those going through it. They will tell you what feels good and what their needs are. Those needs don’t end in the immediate post-surgical days. Make things very, very soft. And thank you for thinking of those of us that have to walk that path. Your kindness is so very much appreciated. I am going for a palliative mastectomy in 7 days. I will make several of these and donate to other surgical patients through the surgeon. Thank you for making the pattern available. Since I have not been able to work for over a year, every little bit helps. I will print your website info and place in pockets so you get the credit due.